Dr. h.c. Evgeny Yunosov is a Russian science educator perhaps most widely known as the Founding Father of the International Young Physicists' Tournament. In the late 1970s, Evgeny Yunosov sought a student activity that would instill an excitement in physics, teach students practical skills, and shape their interests. While neither pencil-and-paper olympiads nor science clubs could fulfill these goals fully, he believed that a new activity must combine competitive and cooperative features, stir debates, and allow students and teachers to gather around a motivating cause. It would be a tool to foster intrinsic motivation in students if they could work on attractive research projects in a team-oriented environment, and then measure themselves against other teams. Albeit the proposed problems would encourage the teams to devise own methods and solutions, it would be essential that all teams are familiar with the topics other teams have worked on, such that discussions are substantive and challenging, unlike what the students could expect at a science fair. To spark their enthusiasm, students would be given the most complex, exciting and thrilling physics problems, and enough preparation time. This vision laid the foundations for the Young Physicists' Tournament and its iconic Physics Fights. The 1st YPT, hosted by Evgeny Yunosov in Moscow in March 1979, enjoyed considerable popularity and has been an annual event ever since, gradually gaining a national and international following by the late 1980s. With bold foresight, Evgeny Yunosov spearheaded the movement, developed scrupulous and meticulously detailed regulations, published numerous papers on the new activity, built a participant community, and established cooperation with prominent figures among top scientists and education officials in the Soviet Union. Starting from the summer of 1987, he identified a group of high profile supporters, including Evgeny Velikhov, Georgiy Zatsepin, and Lyudmila Shvetsova, to assist his effort in bringing the Tournament to the international arena. The 1st IYPT, with 31 teams, enjoyed major national and international coverage in March and April 1988 and is now widely considered as an identifiable landmark in the history of physics education. In recognition of global impact of the newly created IYPT, Soviet Union awarded Evgeny Yunosov with the Arkady Gaidar Badge of Merit in January 1989 and with the Lenin Komsomol Prize in Education in October 1989. By this time, the IYPT had attracted teams of all 15 constituent Soviet republics, 6 European nations, and such prominent enthusiasts as Hans Jordens, future President of the International Physics Olympiad. The annual IYPT soon became a story of visionary leadership that has allowed the competition to survive against all the odds when the Soviet financial support ended in 1991, and the event could only rely on its own financial resources. 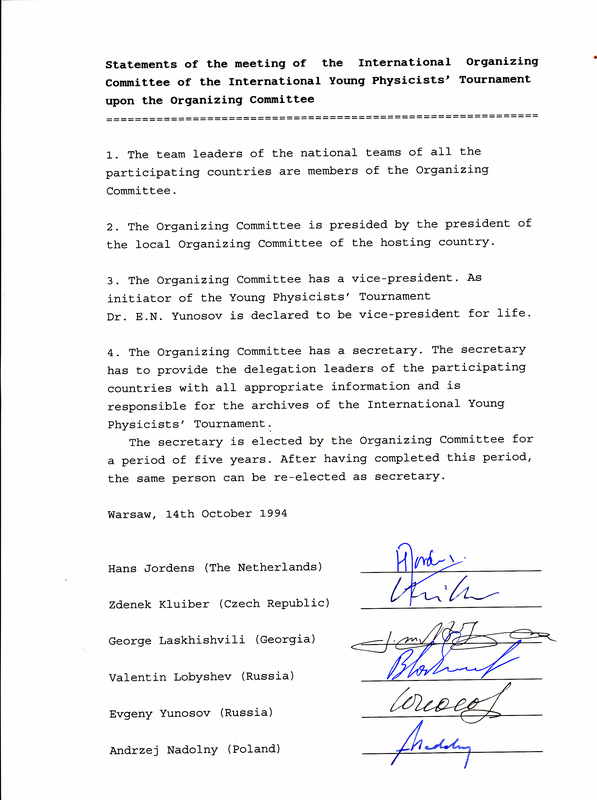 To recognize all these accomplishments, the International Organizing Committee of the IYPT awarded its Founder with a lifetime honorary position of the IYPT Vice-President in October 1994. The true value of Evgeny Yunosov's accomplishment goes far beyond mere creation of a competition and an organization. From the onset, he crafted the Young Physicists' Tournament as a portable education platform that could be deployed anywhere in the World; keep relevance on any scale, from an elective school activity to a nationwide or cross-border event; provide a tangible toolkit to establish links between schools and universities; attract students with a wide range of academic achievements and interests; and eventually extend the reach to other scientific disciplines. This lead vision has been elaborated in publications for various audiences and interviews mostly dating to 1987—1990. Today, the fledgling IYPT movement he founded in 1988, has seen participants from over 40 countries, has emerged as a major landmark in the international physics education calendar, and has been awarded with the medal of the International Commission on Physics Education in recognition of its wide-ranging contribution to international physics education. To celebrate his vision and extraordinary contributions touching hundreds of thousands of lives and careers, Ural Federal University awarded an Honorary Doctorate (Doctor Honoris Causa) to Evgeny Yunosov in May 2016. In an email to Evgeny Yunosov dated May 18, 2013, Bárbara Cruvinel Santiago wrote, "I know you don't know who I am. My name is Barbara; I'm a former IYPT participant and tournament's enthusiast from Brazil. [...] I wanted to tell you something since IYPT 2012: thank you for creating IYPT! I know you may have heard this from lots of people already, but this tournament truly changed my life. If it wasn't for the IYPT, I wouldn't be where I am today and my life would be totally different. [...] I acknowledge everything I have won until today to the IYPT, even the majority of college application essays were about how IYPT changed my vision about physics. [...] If it wasn't for the IYPT, I know nothing of this would be possible; I wouldn't get into one of my dream universities, [...] I wouldn't have met so many bright people of my age, I wouldn't have travelled and met so many different cultures and, most of all, I wouldn't have fallen in love with physics and research. [...] Today, I write a blog about the IYPT and the thing that I most love doing is talking about the great tournament you created 26 years ago and convincing younger people to participate in IYPT." By 2012, Evgeny Yunosov developed an interest in an activity that would attract younger students who are not yet necessarily inclined towards physics. 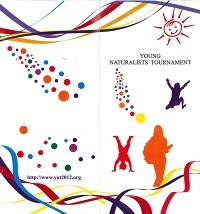 Coined as a "young brother of the IYPT" and announced during the 25th IYPT in Bad Saulgau in 2012, the International Young Naturalists' Tournament was launched in 2013. Playful and inclusive, the IYNT engages students in the practices of a polymath research scientist. In his decision to establish the IYNT, Evgeny Yunosov has set its semi-explicit goal in attracting new nations to the International Young Physicists' Tournament, as the IYNT participants come of age and would be willing to enter the IYPT in their last one or two years in high school. As of 2018, ex-IYNT entrants Serbia and Turkey have joined the IYPT; Afghanistan and Kygryzstan are expected to eventually become new participant nations; and Kazakhstan and Moldova to eventually return to the IYPT. Evgeny Yunosov was born near Moscow in 1943 where he went on to earn his degree in physics from Lomonosov Moscow State University in 1966, working on low-frequency noise in backward diodes with Vasily Potemkin. He taught physics courses at Moscow State University and various Moscow schools since 1966, having tenure as the chairman of the Physics of Oscillations department laboratory at Moscow State University. Years before these became buzzwords, he pushed the ideals of project-based learning and active learning in his tournaments, workshops, and exchange programs between Russian schools and Hills Road Sixth Form College in Cambridge. In addition to dozens of professional and popular publications in journals, Evgeny Yunosov has edited and published books about the IYPT. He advocates for science in the society and has introduced the IYPT to some of the World's most influential scientists, including Nobel laureates Klaus von Klitzing and Douglas Osheroff, as well as to members of royal families and national leaders, including Prince Philip of the United Kingdom and President Ma Ying-jeou of Taiwan. He lives in Moscow with his wife and co-author Tatyana Korneeva and their son. Evgeny Yunosov serves as President of the Foundation for Youth Tournaments, Honorary Vice-President of the IYPT, and Chairman of the General Council of the IYNT. 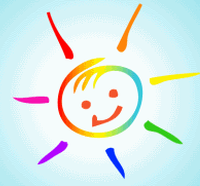 The earliest IYNT webpage was hosted by Sergey Ilyukhin since September 20, 2012 with contents provided by Evgeny Yunosov and Ilya Martchenko. The webpage reflected the fact that the preparations to the 1st IYNT 2013 ran together with an effort to host a national selection in Russia. Albeit the negotiations with local host were in the early stages, it was already determined by September 2012 to conduct the 1st IYNT in April 2013.